A junior at Franklin High, this is Emily Vinson’s second year writing for Pantherbook. She has enjoyed writing from a very young age and looks to expand upon this passion in the future. 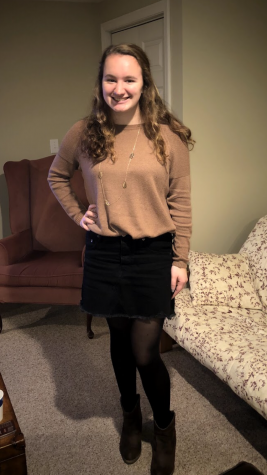 In her sophomore year, she took a Digital Journalism class, where she wrote multiple articles and realized she wanted to write for Pantherbook. She writes about a little bit of everything at Pantherbook - entertainment, sports, student life, etc. Emily plays field hockey and basketball and likes to hang out with friends in her free time.